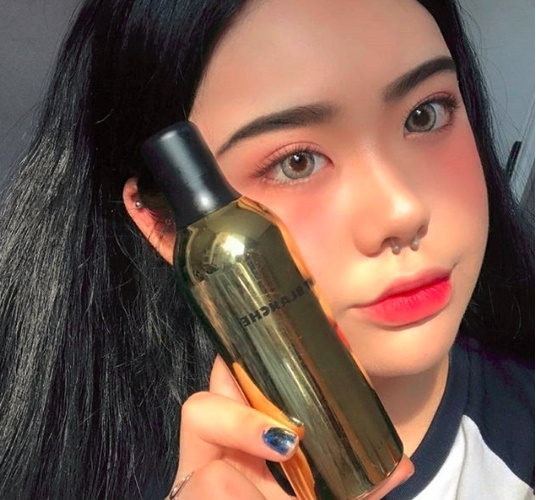 THIS IS NOT A THERMAL SPRING WATER MIST!! 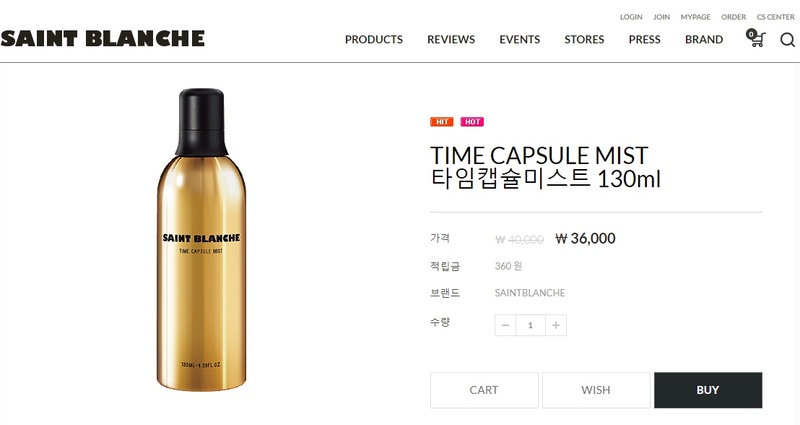 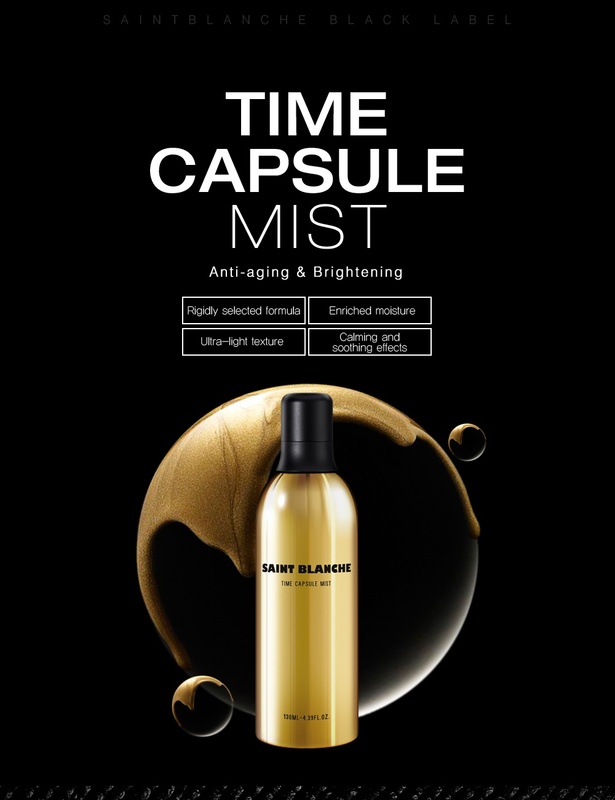 Do you know why its named TIME CAPSULE because it can TURN BACK AGING, REVERSE AGING, thus it is not just any normal thermal water spray mist you find in local drugstores! 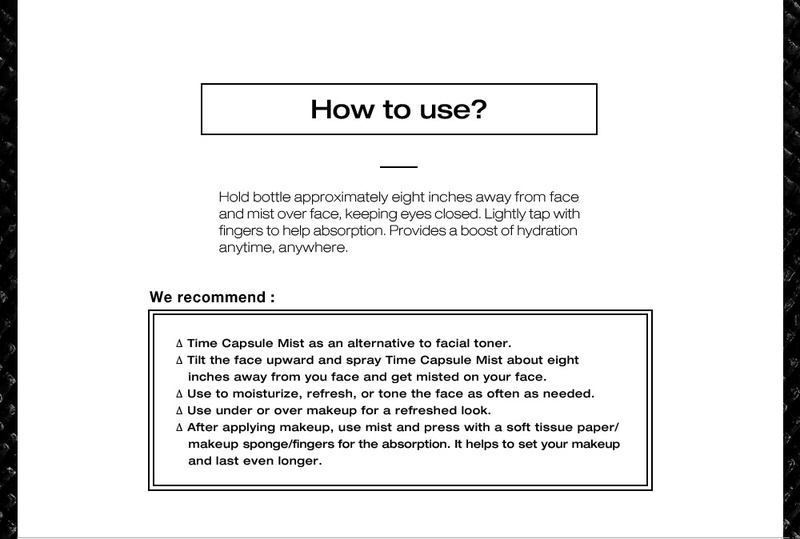 PLEASE KEEP A DISTANCE OF 20CM FROM YOUR FACE WHEN USING THE TIME CAPSULE MIST! 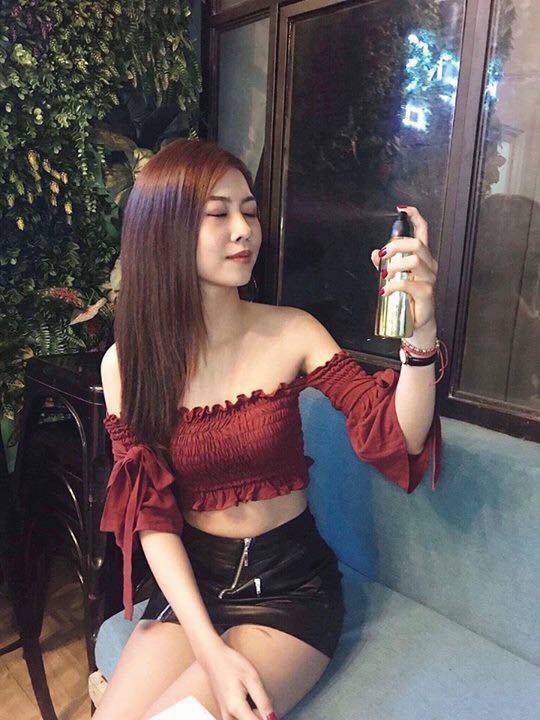 USUAL OXYGEN MIST IN MARKET THAT ARE CHEAPER IN PRICE ARE USING PURIFIED WATER WHICH DOES NOT DELIVER MUCH RESULTS! 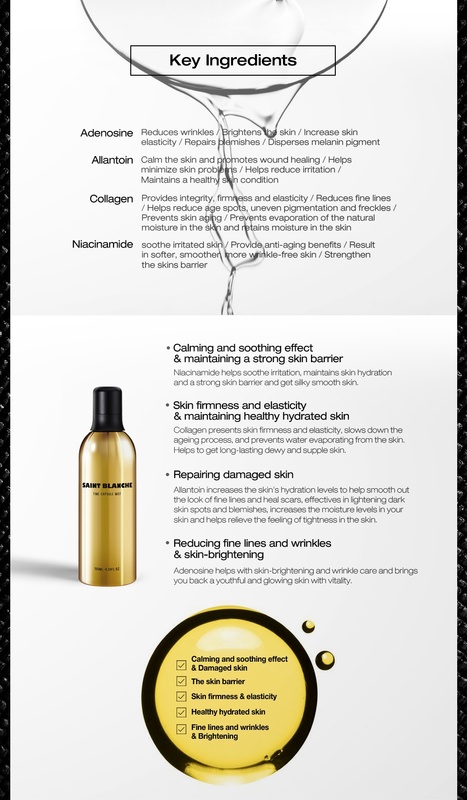 INSTANTLY PROVIDES INTENSE HYDRATION. 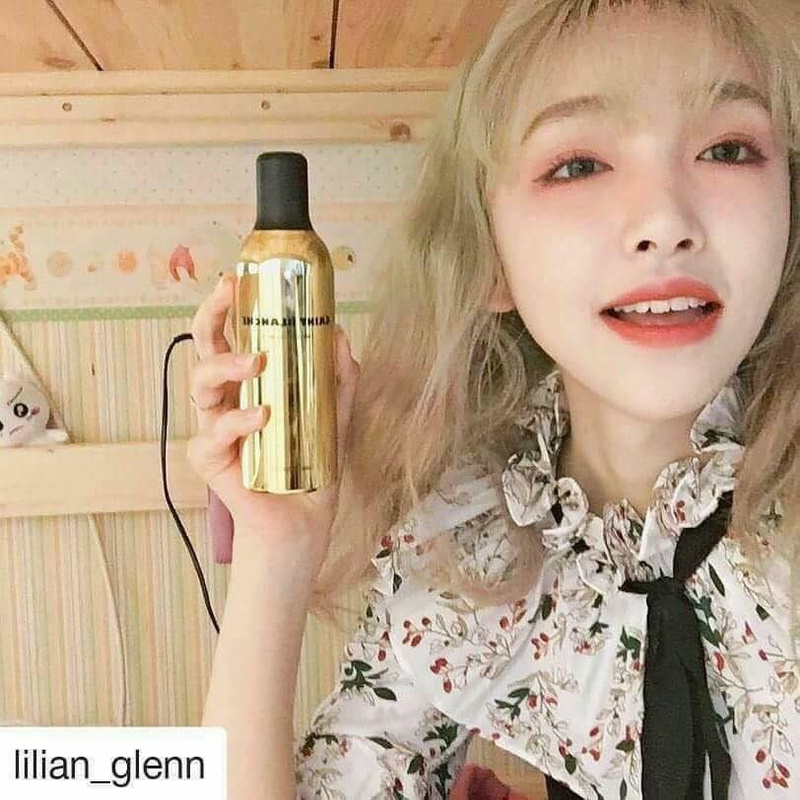 EXPERERIENCE A FLAWLESS AND RADIANT GLOWING SKIN AFTER EVERY SPRAY. 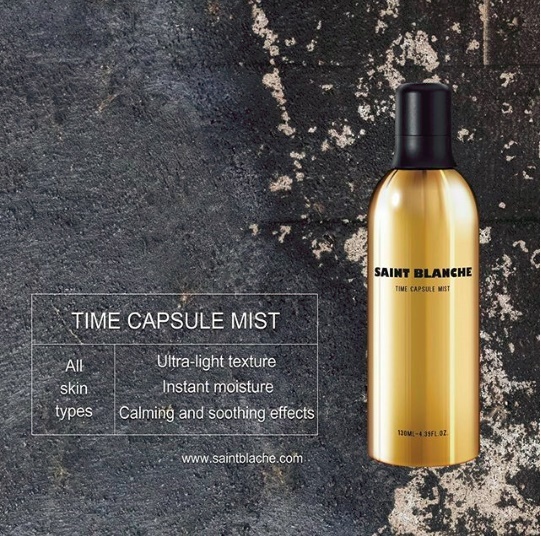 WHEN TO USE THE TIME CAPSULE MIST? 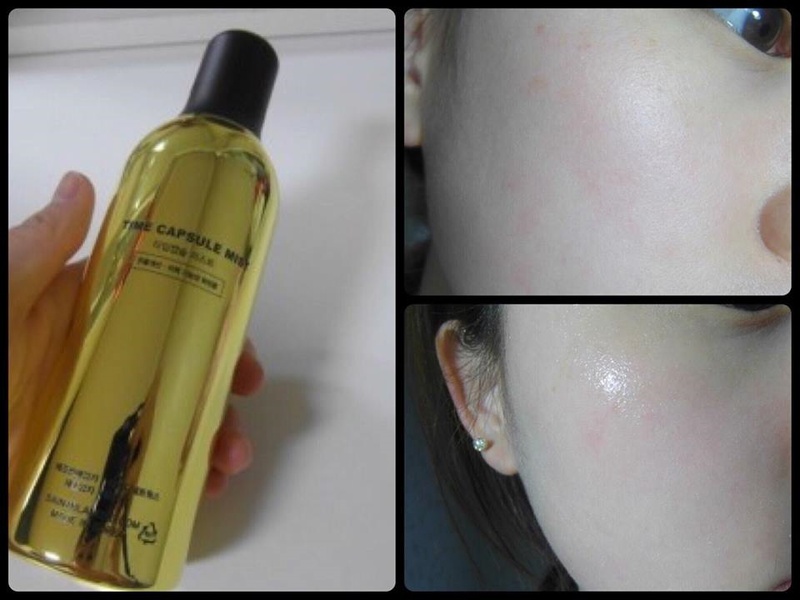 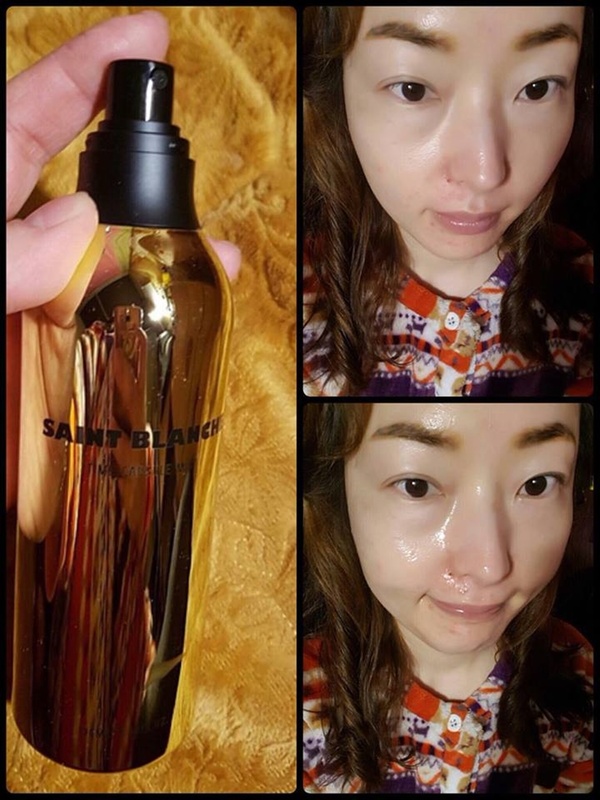 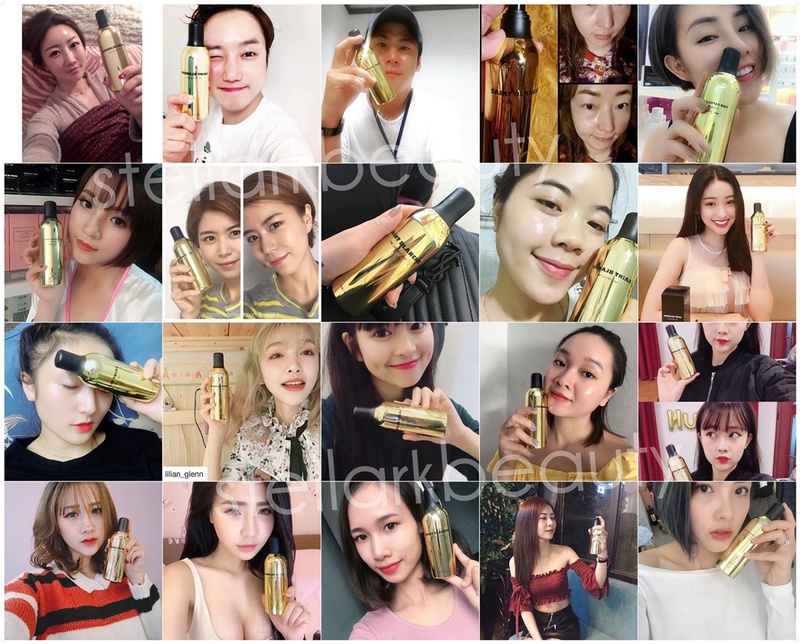 -IT CAN BE USED AS A FACIAL TONER, SPRAY ON COTTON PAD AND WIPE OVER SKIN OR SIMPLY SPRAY OVER SKIN HOLD 20CM DISTANCE FROM FACE, WITH EYES CLOSED. 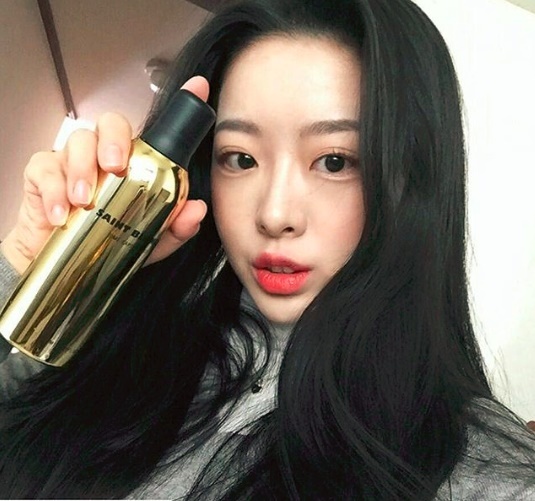 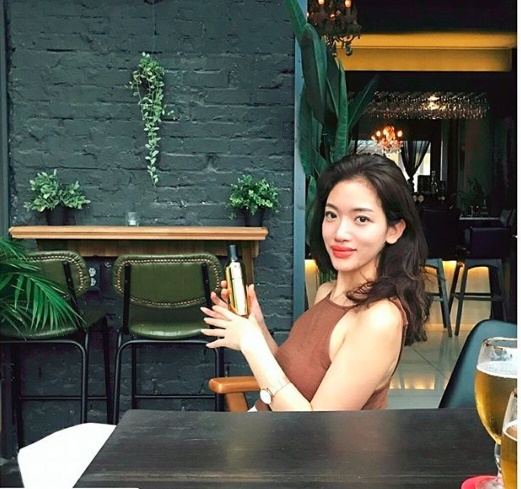 VIRAL ON KOREA INSTA AND NAVER! 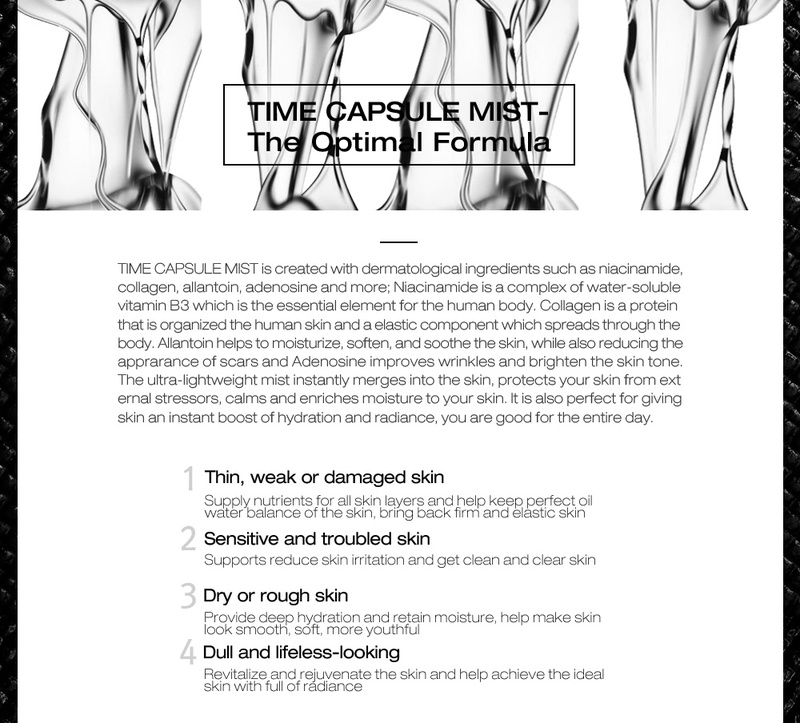 Do you know what its named TIME CAPSULE because it can TURN BACK AGING, REVERSE AGING, thus it is not just any normal thermal water spray mist you find in local drugstores!